The goal of any newbie marathoner: finish. Unless something dramatic happened mid-race, I knew I’d get to the finish line eventually. I wanted the medal so badly! Feel “good” for most of the race and keep a reasonable pace from start to finish – no major tummy issues, unplanned trips to the porto-potties, or cramps bad enough to force me to a walk. Follow my race plan to a T. I’d have to be an idiot not to use the advice given to me by my coworkers (one even won the darn thing a few years back!) The plan: go out slow­–no faster than 7:45–and fight the urge to surge down the downhills for the first half so I’d have something left in the tank for the second. I’d reassess at the half (and maybe pick it up a tad), and then let the horses go for the final 10-K if I could. Fueling-wise, sip something at nearly every aid station starting around mile four or five. If A through C worked out, I’d be thrilled with anything under the Boston qualifying time of 3:35 – best case scenario would be 3:20s. Regardless, I knew I’d be satisfied with any result, knowing that just getting to the line healthy was an accomplishment in and of itself. That was my mindset throughout the week leading up to the race. The way I summarize my race when people ask is, “The uncontrollables–like the weather–worked in my favor. And, I was blessed to have an army of marathon experts around me, happy to drill the right mindset into my brain so that come race day, I could execute.” I didn’t psyche myself out because I knew I had the ability to finish. I had a concrete game plan that I was prepared to carry out. I wasn’t “racing” anyone per se, a new post-graduation development that certainly took a load of pressure off my shoulders. For the first time, I was racing for me. And it felt awesome. If I’ve struggled with anything consistently over the years on race days, it’s my head. So the fact that not a single legitimate negative thought crept into my head that morning was a victory even before the gun went off. And boy was it a hill. Even though it felt good to use muscles other than my quads to climb it, I was starting to get desperate for that finish line. Once I finally got close enough to see the clock, I realized I had a shot to eek out a sub-3:30 time. I surged toward the line, immediately overcome by the sheer joy in the realization that I had finished. And I didn’t walk a single step of it. What a journey. 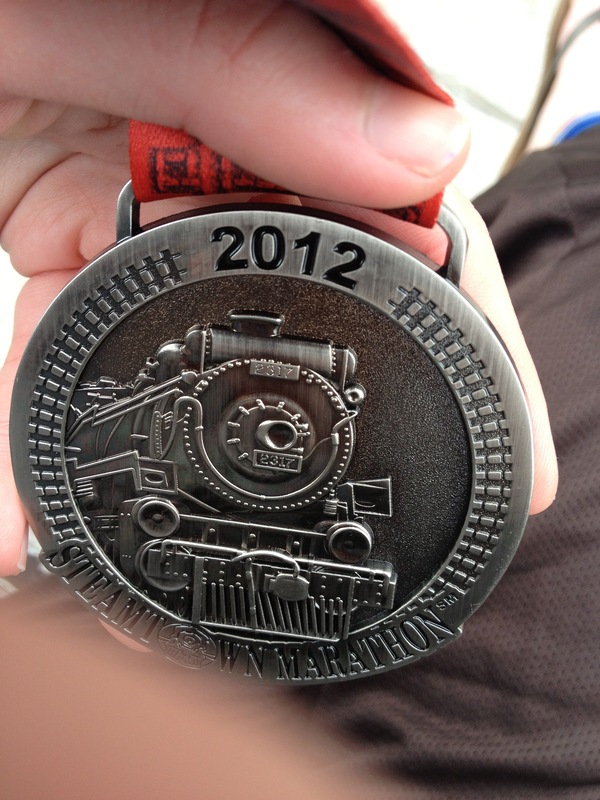 My official time was 3:29:23. I don’t think I’ve ever been more pleased with a race result than this one, especially because the stars haven’t exactly aligned for me race-wise for a while. Turns out I was able to land one of the final spots for the 2013 Boston Marathon a couple days after the race, and I couldn’t believe it! (Whitney qualified and is running it, too! 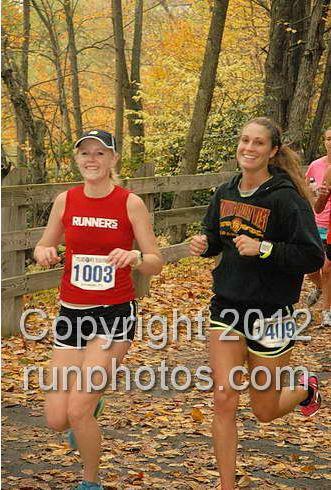 Yay for newfound running buddies!) I have to say that I’ve been bit by the marathon bug, and now I want to run them all–I already have three planned for the spring! To say this race was a learning experience is an understatement. In the few weeks post race, I’ve tried to bottle up all that happened so I can do it again next time… only faster. =) Bring it on marathon #2! I’m ready! 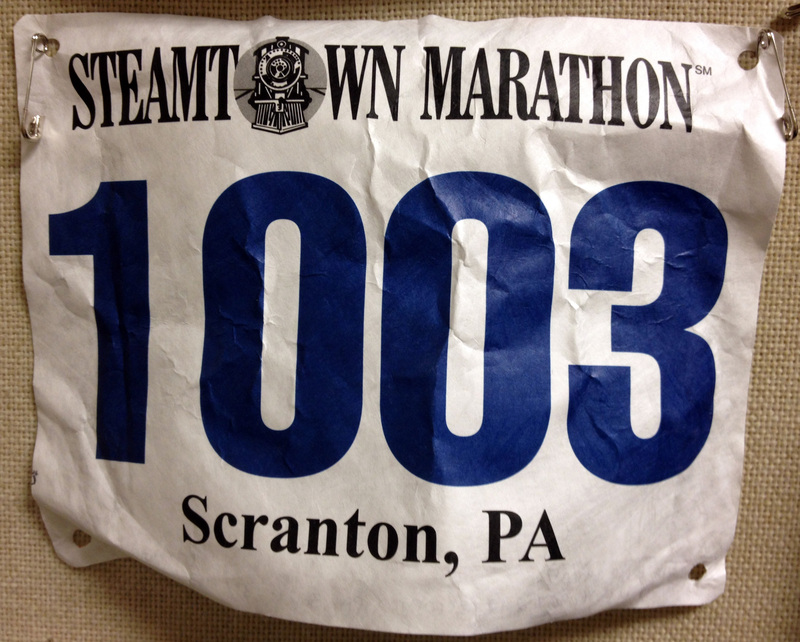 Your post, Race Report: Steamtown Marathon megrunnergirl, is really well written and insightful. Glad I found your website, warm regards from Roland!